After a very brief hiatus last week Hi-Rez Studios have officially revealed the contents in today’s patch for the increasingly popular free MOBA, SMITE. You may have read the sneak peek we published on Monday, in which Hi-Rez Erez leaked some exciting possibilities for this week. Not all of the aforementioned features were included but there is still plenty to sink your teeth into with the latest SMITE patch. The highlight of the new patch is the introduction of a new melee assassin, Thanatos. His abilities center around sacrificing and absorbing HP so if you tend to miss the more difficult skill shots, you may want to give this guy a miss. Also introduced this patch are new Gold Skins for Hercules, Chang’e and Bastet, with Hades also receiving a new Nightmare skin. A new solo Conquest queue has also been added that is only available to players that have reached the new Adept Rank (50 Worshipers) with at least 12 Gods. It also restricts choices in lobby to the God’s with which you’ve achieved that rank. Tired of players using Conquest to use a God for the first time? This new mode is for you. There may still be some concerns surrounding SMITE’s future but one cannot argue; they do not disappoint with their updates. 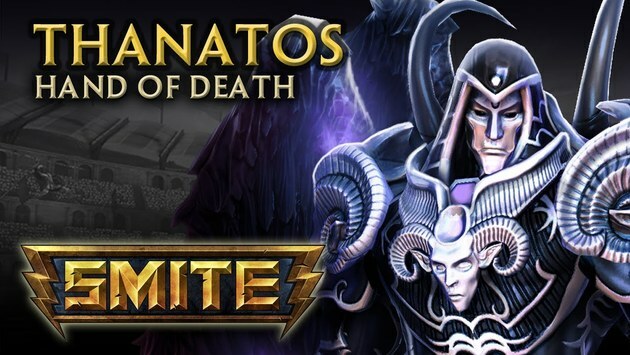 If you want a more dramatic approach to the patch coverage, check out the awesome Thanatos reveal video below. The full patch notes can also be found here.